Looking to schedule an appointment? Just click here. Our staff is one of the most experienced and knowledgeable dental team in the Roanoke Valley. They have dedicated their professional careers to provide you with the best that dentistry has to offer. Download & fill out our new patient forms before your appointment with us to save you time. Don't Forget About Your Smile! Make an appointment today – we'll help you remember it! Keep your teeth looking great! 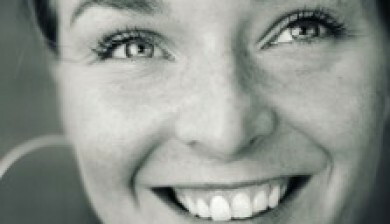 A professional cleaning is important to keep your smile healthy and radiant! Dr. Moore is excited to return to the valley to practice his dentistry. Learn more about the dentist, click here. By educating our patients and helping them learn proper hygiene techniques, Dr. Moore hopes to give you the tools to make your next check up great! Schedule an appointment today. From cleanings to new smiles, we can help you with all of your dental needs. Our dental practice has won Platinum in The Roanoker Magazine "Best of" issue 2015 & 2016. We continue to provide highest standard of dental service in Roanoke, Virginia. 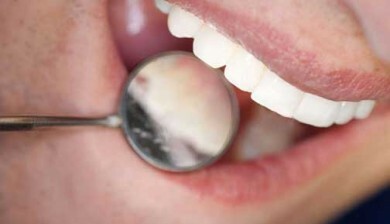 Read our blog posts for fun dental tricks and tips. Learn the dos & don'ts when it comes to oral health. We understand that affordability is a crucial component to any dental plan, and we strive to provide cost-effective treatment options for all our patients. Learn more by clicking here. Our focus on patient care allows us to provide the best oral healthcare in the Roanoke Valley. Keep your child smiling..or your inner child! We care for all members of your family as if they were our own. To provide comprehensive quality dental care in a friendly, patient-focused environment. Regular visits to the dentist are the foundation for a healthy smile. A thorough professional cleaning can remove stains, plaque, and calculus, which may be too difficult to remove with just your toothbrush. For many people, the idea of going to the dentist to have a cavity filled can be scary. We understand this fear, and aim to provide a compassionate experience. We work hard to provide the best care for your teeth in a comfortable and friendly environment. Don’t let a broken or missing tooth keep you from having the smile you’ve always wanted. With a wide variety of treatment options, including veneers, crowns, bridges, and implants, we can help restore your beautiful smile! There is little that interferes with your life quite like a toothache or broken tooth. Emergency patients are always treated as quickly as possible. We will diagnose your problem and get you back on the go in no time! Phone. Email. In person. We are there for you when the office is open OR closed! We take the time to do things the right way. Easy location. Easy to contact. Easy experience! We treat every patient like family – and we invite you to join our dental family. Don't take our word for it; see what our patients have to say! Thank you for making my first visit with you, this morning, a pleasant one. Your office has a friendly atmosphere and was very efficient in its procedures. I also appreciated that I did not have a long wait. I'm glad to have found a new family dentist since moving to the area. See you in 6 months! For several years food was getting caught in-between my tooth and my lower crown causing me discomfort and inconvenience. Without any hesitation, Dr. Moore solved the problem using his professional expertise and replaced an old filling & reshaped the tooth. No more dental floss on date nights. What a relief! Dr. Moore makes a trip to the dentist feel like a walk in the park. He truly cares for his patients and takes the time to explain all available options. I leave each appointment feeling relaxed, informed and looking forward to coming back. Dr. Moore has the unique ability to make a visit to the dentist practical and enjoyable. Whether I'm in for a checkup, fillings, or whitening, I leave every appointment feeling relaxed and very satisfied with my visit. I'm incredibly anxious about going to the dentist, but my experience with Dr. Moore helped alleviate those worries. He's exceptionally friendly and personable, which helped me relax right off the bat. He was very patient with me, talking me through any concerns, making sure that I was comfortable with each step of the process and explaining my treatment in a way that was easy to understand. After my visit, Dr. Moore called me personally to see how I was doing and insisted that I call him if I had any additional questions or needed anything at all. I am at ease now with the knowledge that I'm in the hands of someone who is supportive and truly cares about the experience that I receive. 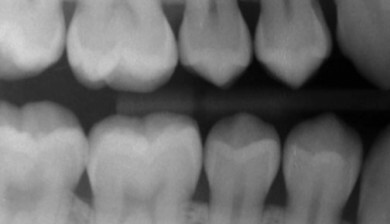 I recently presented a unique issue to Dr. Moore after I had experienced a fair amount of discomfort and pressure-sensitivity several months after receiving a routine filling from another dentist. Dr. Moore was very interested in getting to the bottom of my problem and he was patient throughout the investigation. Where another dentist might have immediately recommended a root canal, Dr. Moore was very conscience of the financial impact of his decisions and instead he insisted that he take more time and carefully redo a proper filling. My tooth feels great now and Dr. Moore has personally called me several times since then to get an update. It has been quite a positive experience. Dr. Moore is very personable, friendly, and knowledgeable and I would recommend him to anyone I know.